With ponte fabric, short sleeves, and flattering colorblocking, this washable dress has a lot to offer. 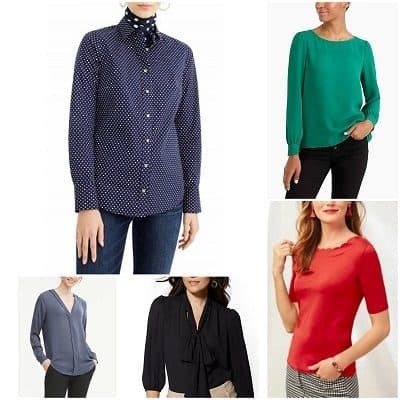 You can dress this top up or down — for workdays and date nights alike. 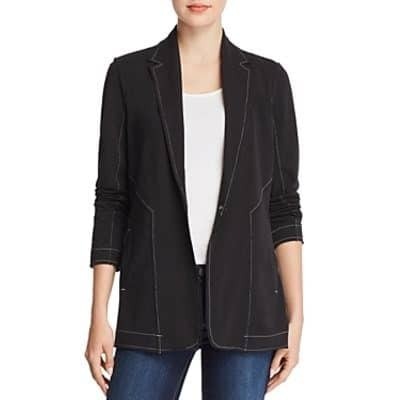 The unfinished hems and contrasting seams elevate this piece beyond the typical blazer. It’s not often that you find work-appropriate clothing in this fun color. 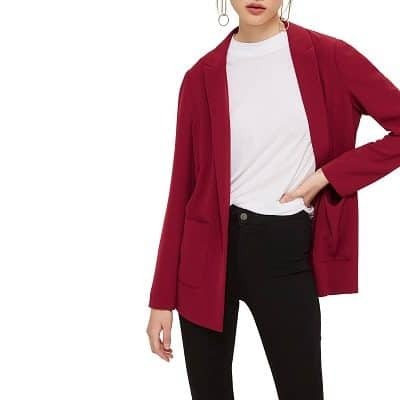 The longer length and square pockets on this blazer — plus the fact that it’s unlined — give it a casual, cardigan-y feel. The wrap style — and the real pockets — make these pants stand out from the crowd. 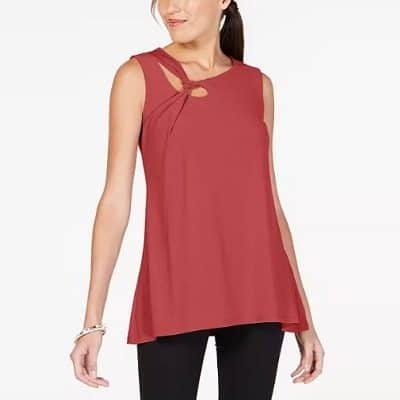 An interesting neckline, two pretty color options, and sizing up to XXL — this top is definitely worth checking out. This midi-length dress with removable belt is really affordable and getting great reviews. 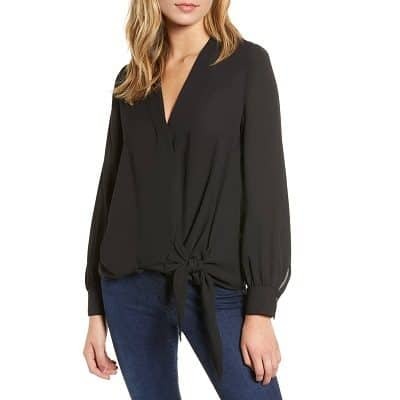 I love this blouse’s color, high neck with ruffles, and covered buttons — and the price, too. 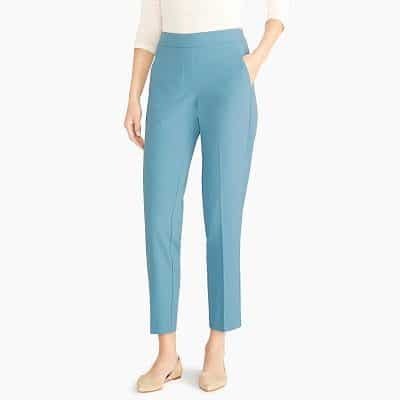 With real pockets, a machine washable care label, and a nice size range of 00-24, these pants are definitely worth checking out. I like how this dress would be easy to dress up, and that it has both sleeves and pockets.